Purchase the Okotoks Honda Lifetime rotor and brake package for your Honda and never worry about replacement brake pads and rotors again. 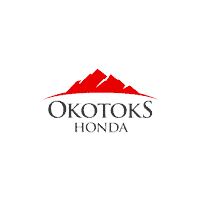 Simply purchase a set of genuine replacement brake pads at Okotoks Honda and have them installed by our service department to activate the guarantee. The next time you come in for brake pad replacement, your guarantee kicks in and you drive away with your freshly re-padded Honda. Speak to one of our service advisors during your next service visit to get full details. Genuine Honda brake pads are designed specifically for your Honda to help maintain the quality, reliability, and performance of your vehicle and are backed by our lifetime guarantee. Honda recommends you have your vehicle’s brakes inspected every 6 months in order to ensure optimal brake performance and continued driving safety.